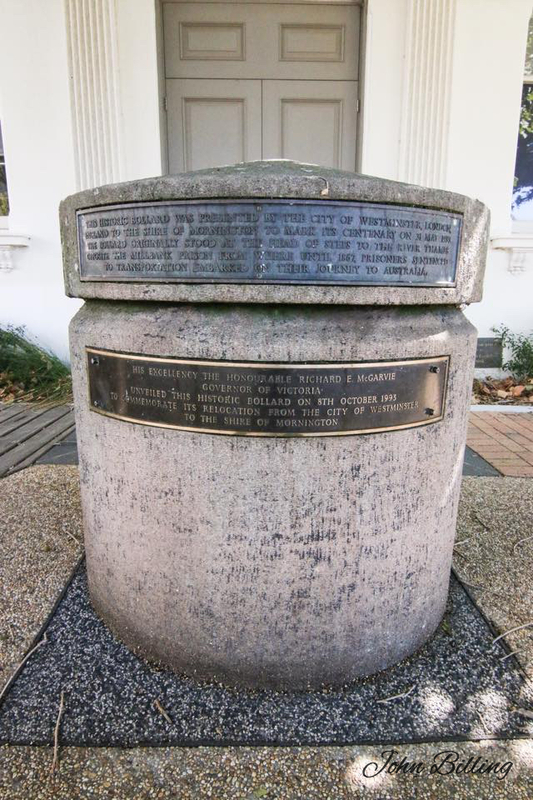 This historic bollard was presented by the City of Westminster, London, England to the Shire of Mornington to mark its centenary on 31 May 1993. The bollard originally stood at the head of steps to the River Thames opposite the Millbank Prison from where until 1867 prisoners sentenced to transportation embarked on their journey to Australia. 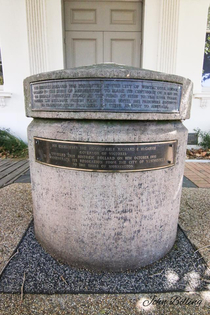 His Excellency the honourable Richard E. McGarvie, Governor of Victoria, unveiled this historic bollard on 8th October 1993 to commemorate its relocation from the City of Westminster to the Shire of Mornington. John found the Mornington Historical Walk where we learn that the building was, c.1900, the Mechanics Institute and Free Library. Judge and then Governor of Victoria, Australia, 1992 - 7.